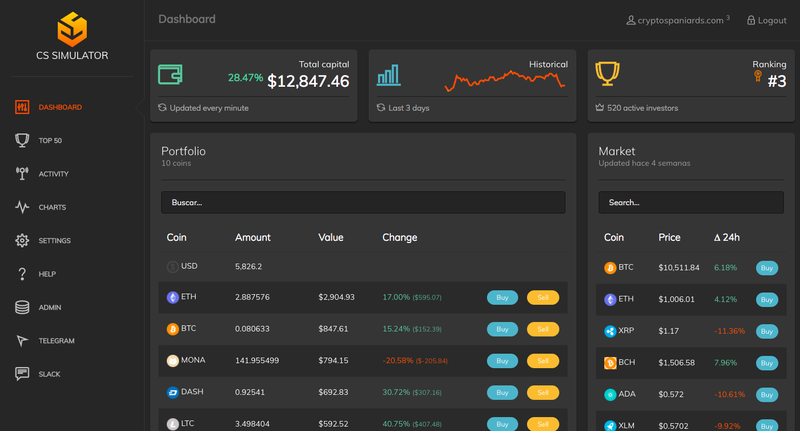 Free Trading Simulator for Bitcoin and 79 cryptocurrencies to play your investment strategies live without the need to spend real money. Limit Buy Orders, Stop Loss, Take Profit and more advanced features. 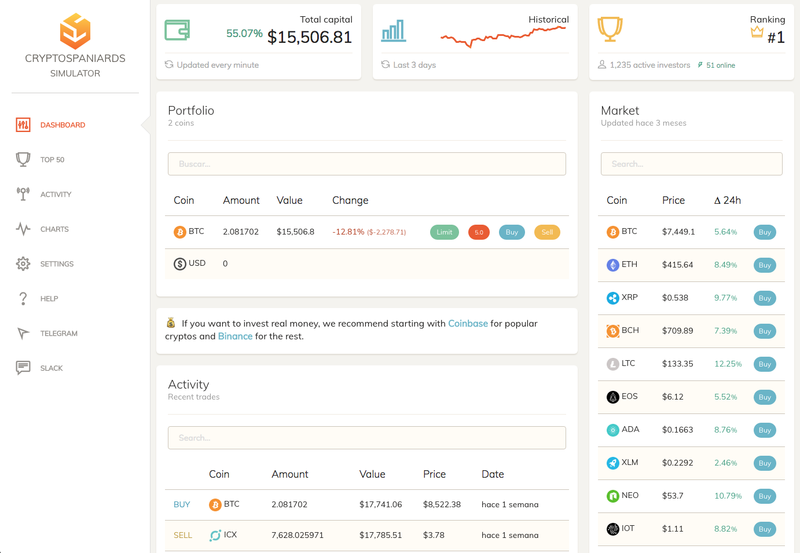 Whether you are curious about investing in cryptocurrencies but you are afraid to play real money as if you are already an expert and what you want is to try different strategies, this simulator is for you. 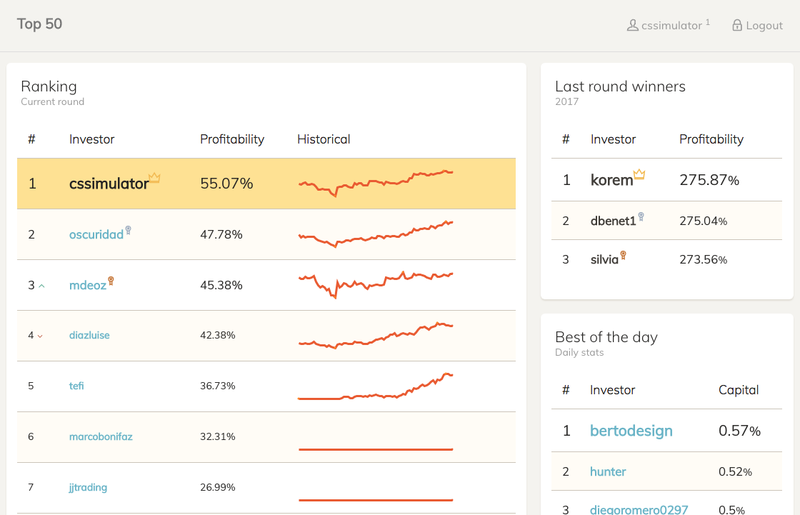 Compete without risk with hundreds of other investors, among the winners we distribute prizes periodically. Will you be able to reach number 1 in the Ranking? If you have any questions, issues, comments or feedback; or you want us to add another currency, join our Telegram.